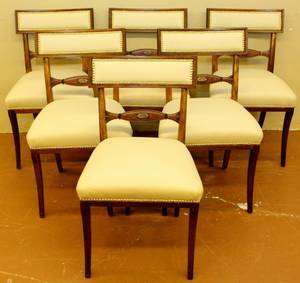 Each dining chair upholstered with pale cream to off-white leather on seat and back. 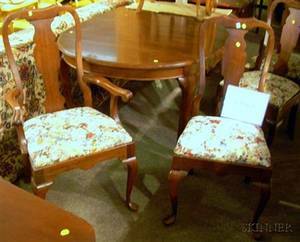 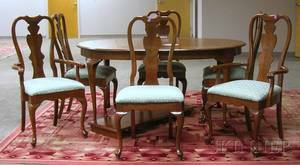 Chairs decorated with flower form surrounded by leaves on back slat and with brass tacking on leather. 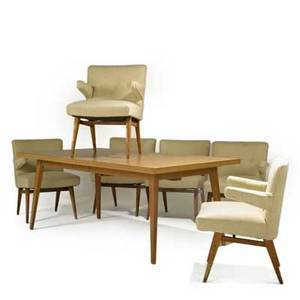 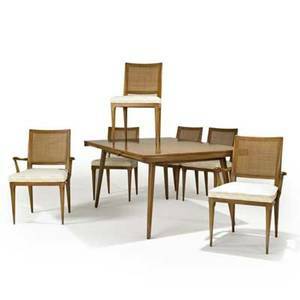 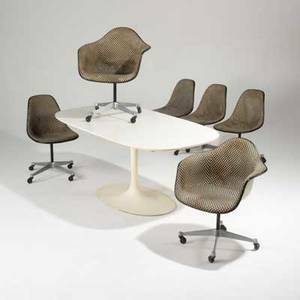 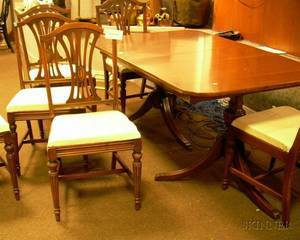 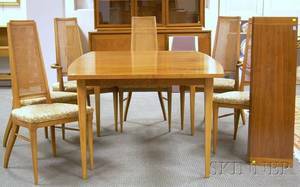 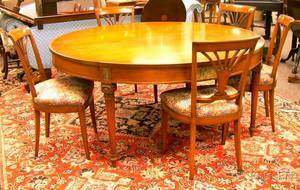 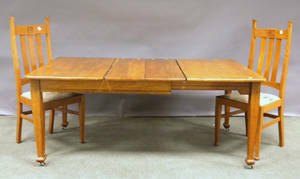 Jens risom; knoll associates; dining table and set of six dining chairs, usa, 1950s; laminate, birch and upholstery; unmarked; table: 29 1/2" x 73" x 40", one leaf: 16", each chair: 33" x 25" x 22"
Georgian-style Mahogany Veneer Double-pedestal Dining Table with a Set of Six Dining Chairs.